Do you need to make some progress on your training as a leader in Scouting? Learn more about outdoor activities? Would you like the chance to chat to leaders from other districts over a cup of coffee and exchange ideas? We have the answer! 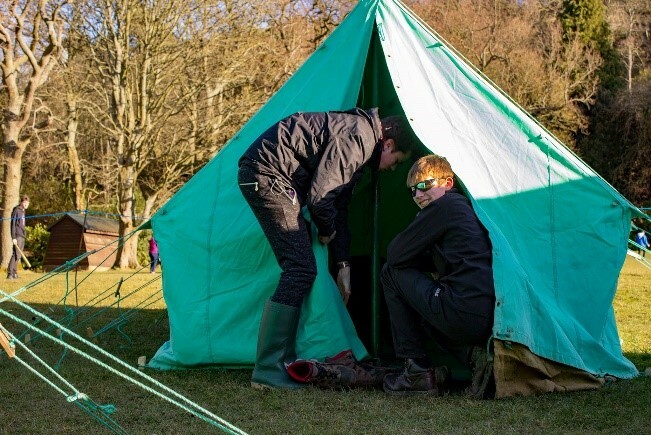 The SE Regional Training team will be running a residential weekend at Bonaly from 22 – 24 March 2019. Leaders are welcome to book in for just one session, come along for a day, stay the entire weekend, or any combination that works with the time they have available. If people who live further away would like to travel on Friday evening to stay over and be ready to start on Saturday morning that’s fine too. No tents are needed; those who stay overnight will be accommodated in Forth Lodge. We all know hungry children at camp can be a bit grumpy and I’m sure the same is true of some leaders! We’re spared that problem. I’m very grateful to Russell Shoulder for volunteering to cater for the weekend. Those who have benefitted from his culinary skills in the past have assured me we’re in for a treat! There is no charge for the weekend. Details of which modules will be run at which times are included in the application form. To make sure you don’t miss out, please complete the form below and send it to Training@sesscouts.org.uk. Have a chat with your scouting colleagues – maybe a few from your Group would like to come together? If you’re not sure what training you need to do or what to prioritise please contact your Training Adviser – if you’re lucky enough to have one! – or your ADC (Adult Training). If you have any other questions about the weekend, please contact me on Training@sescouts.or.uk. I really hope to meet as many people as possible from all over the Region. This is the first time we’ve tried this approach in recent years, and it’s in response to feedback about the training provision. I hope you will book your place if you can, and I’d really appreciate feedback after the event so we can build on it in future. At the end of the day, it’s about equipping you, our leaders, to run excellent programmes for the benefit of all the young people in SE Region.